I’m short on time today, and so I’m reposting the latest on current El Nino – by German skeptic site wobleibtdieerderwaermung here. 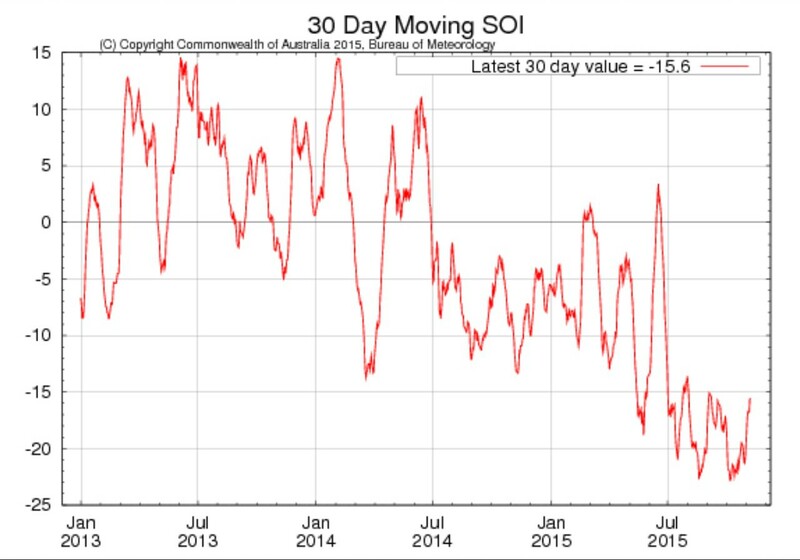 For the first time in over two months the Southern Oscillation Index SOI rose 4.6 points and thus points to a possible normalization of the atmospheric pressure relationship and thus an eastward tradewind over the equatorial Pacific. This indicates a development I mentioned a few days ago: El Niño Update November 2015: Peak Already Reached? 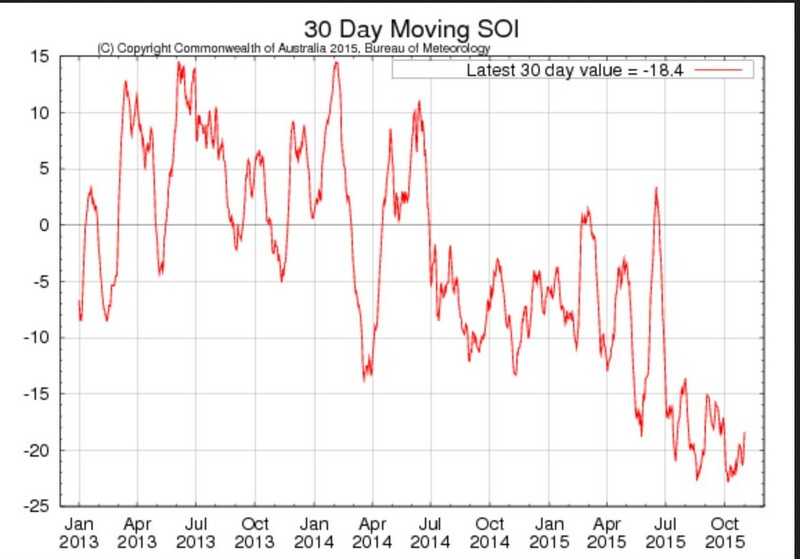 The SOI is considered to be the two-month lead indicator for the development of the easterly trade winds at the equatorial Pacific and thus for future ENSO development. The El Niño range is departed when the value of -0.8 is exceeded. The SOI is based on the atmospheric pressure differential between Tahiti and Darwin. On 1st Nov there was a significant change in that the 30day average pressure at Tahiti less the 30day average pressure at Darwin became positive for the first time since early June. This pressure differential has continued to increase everyday to the latest 13th November. The next two weeks should confirm if the “El Nino” period is at an end. However, it is already clear this is not a super “El Nino” which all the alarmists hoped would happen.